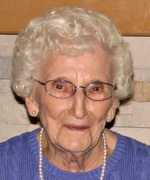 Ella passed away peacefully at St. Joseph’s Auxiliary Hospital, Edmonton, Alberta, at the age of 97 years. Ella began her adult responsibilities at an early age when she shared in the raising of brothers and sisters after her mother’s premature death. 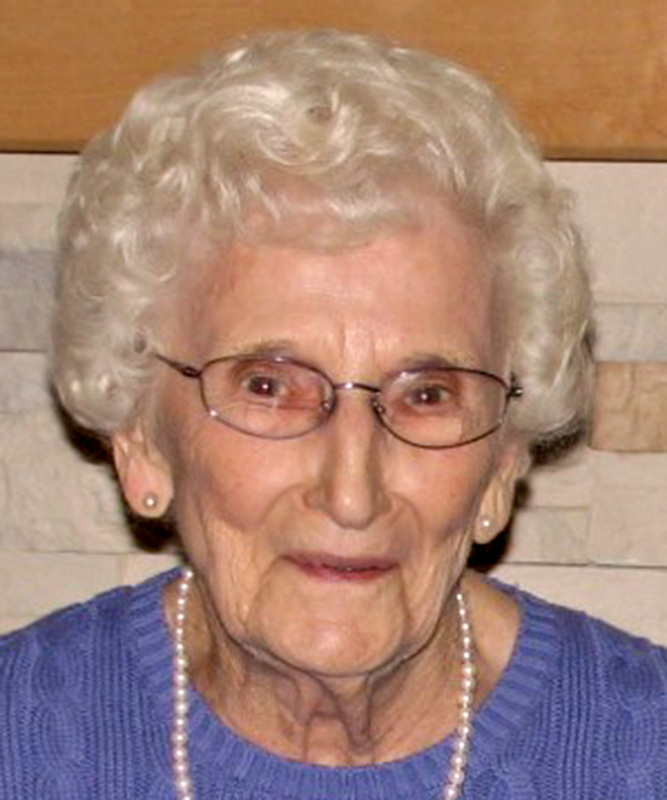 Her passions in life were family, gardening, cooking, crafts, and involvement in her church and community. She possessed a keen sense of adventure and would be one of the first to try something new. Ella and Steve always welcomed family and friends to their home, where they were treated to her wonderful food, and happy times. Ella will be lovingly remembered by her two sons, Richard (Janet) and Greg (Jami); two grandchildren, Jeffrey and Jordan Ozubko and their mother, Gail Ozubko; six step-grandchildren, Shauna, Brian and David Curtin, Megan Varga-Greger, Cody and Taylor Butterfield; seven great-grandchildren and five great-great-grandchildren. She is also survived by her sisters, Kay Manchak, Mary (Leroy) Hughes and Helen Christensen; brother, Walter Ewanovich; and many nieces, nephews and loving friends. Predeceased by her husband of 57 years, Steve; her infant son, Edward; sisters, Nancy Schnurr and Olga Cordingley; and brothers, Mike, Bill, Stan and Jack Ewanovich. The family wishes to express their sincere gratitude to the staff of Spruce Meadows Unit at St. Joseph’s Auxiliary Hospital for the kindness and care shown to Ella during her five years with them. Funeral Mass Thursday, August 2 at 1:00 p.m. at St. Matthew Roman Catholic Church, 13131-86 Street, Edmonton with interment at St. Michael’s Cemetery. Friends and family are invited to pay their respects 1 hour prior to the Funeral Mass. In lieu of floral tributes, donations may be made to the Alzheimer Society of Canada, www.alzheimer.ca .